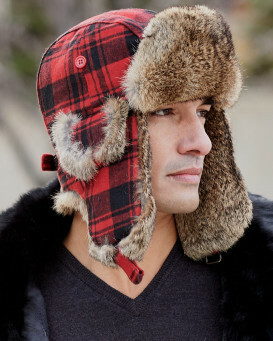 What are the care instructions for this hat? 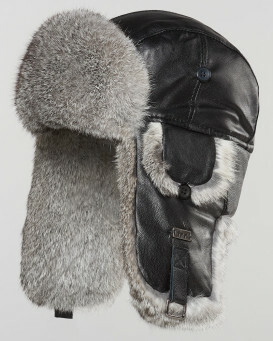 Inspired by the hats bomber pilots wore in WWII. 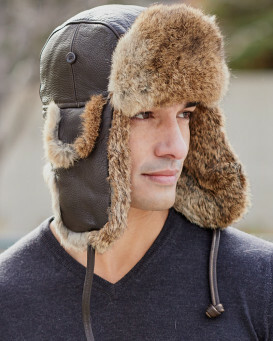 This handsome aviator style hat is made with rich genuine dark brown leather and trimmed with warm rabbit fur. 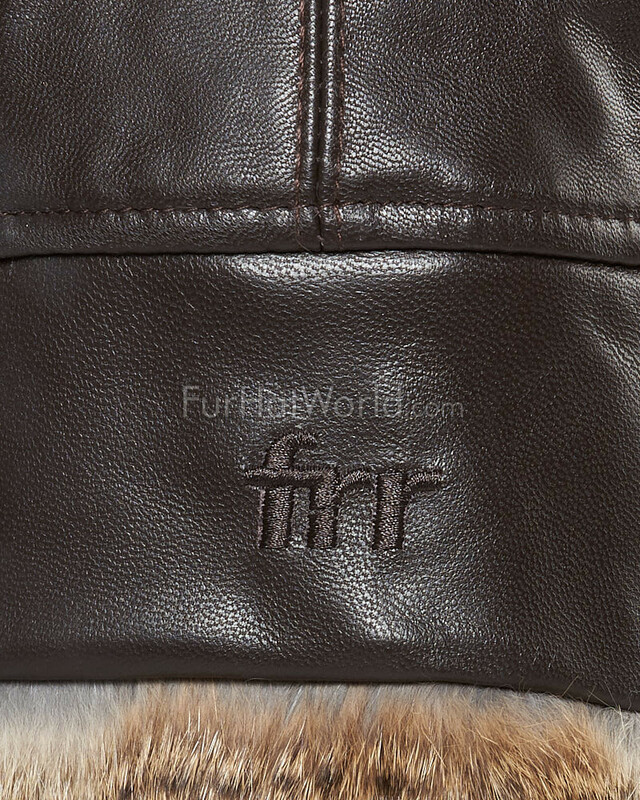 The interior of the hat offers a static resistant insulated lining and a fleece forehead pad for added comfort. 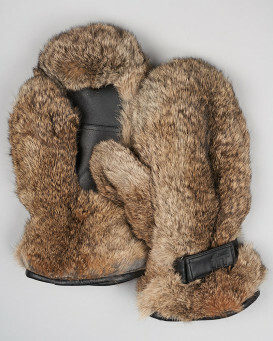 The rabbit fur ear flaps can be secured under the chin for extra warmth or neatly flipped up and attached at the top of the hat using an innovative and durable button snap and metal ring closure system. 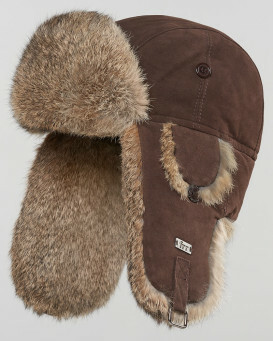 Brushed nickel metal hardware is used on the hat for added quality and style. Designed in Canada. 4.5 / 5 from 413 customer reviews. Johnny Mac from Saskatoon Sk. "In northern Saskatchewan Canada, it gets cold and the winds and windchills are fierce! I ice fish weekly and am outside.. all the time. I initially had a ‘wanna be’ avaiator style hat from a retail store. The wind went right through it and the insulation was horrible. 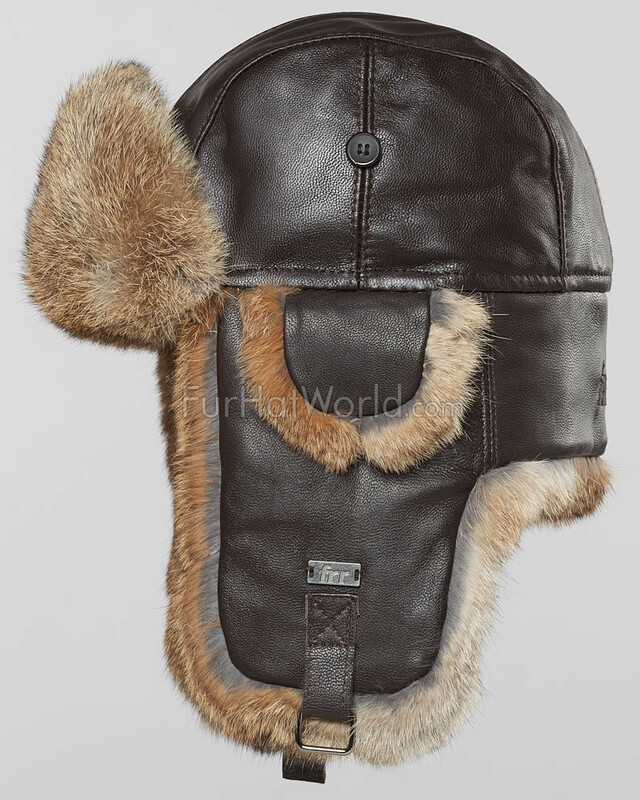 My wife bought me this leather aviator hat / rabbit fur lined ... it’s amazing! 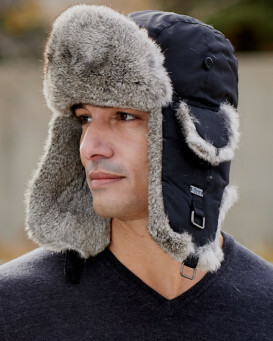 So much so, I purchased one for my Dad and I’ll comtinue to give them as presents because they are such high quality, warm, great fitting, awesome looking and extremely well priced hats. 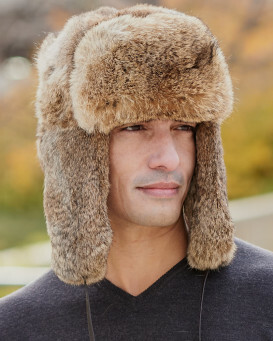 Thanks fur hat world. I’m so glad there’s a quality business like you available to us, the consumers. Ps. Great timing on the shipping too. Way to go, Eh! ????" "Super fast shipping. Hat is excellent. Looks great! Fits great and well made." "Super look. Perfect fit Well made. The real deal. Bought for my husband to replace a much loved cheaper version which finally had to go in the washing machine but self-destructed in contact with water. 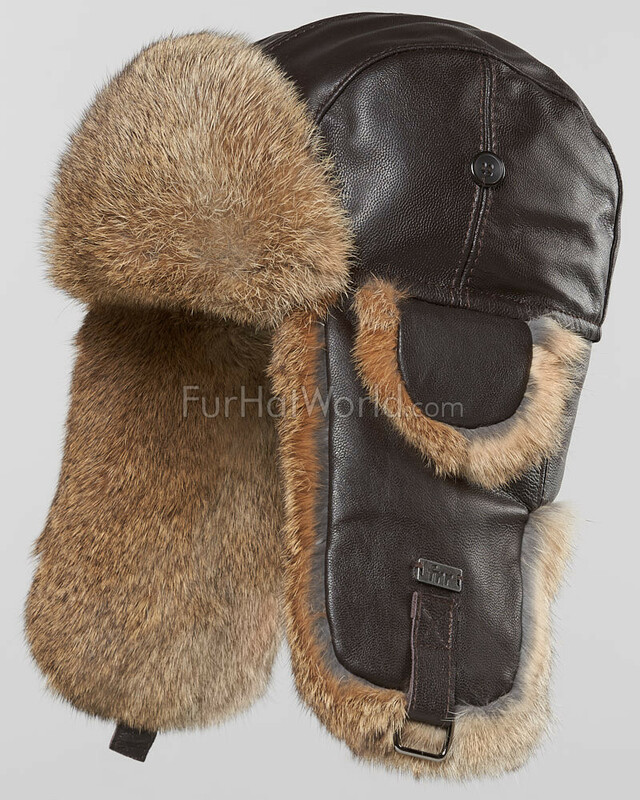 Now this trapper hat is quite a cut above: soft leather, nicely stitched, perfect soft rabbit fur and just in time as the Beast from the East rolled in from Russia today (the worst winter weather the UK has seen for about 8 years) it has kept my husband's handsome bald egg head toasty warm all day as the snow fell across London and the South of England. It's a winner. Highly recommend. Good value for high quality." 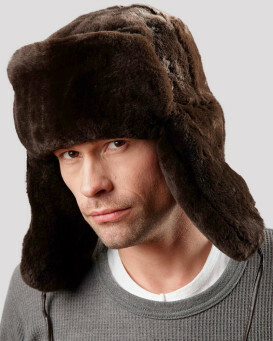 "Very warm rabbit fur hat! Fits well (ordered one size larger than my measurements). Stylish and wind does not penetrate on cold Winnipeg weather! And very fast 2 day shipping is the best! Thanks very much!!" Steveo from Isle of Wight, United kingdom. 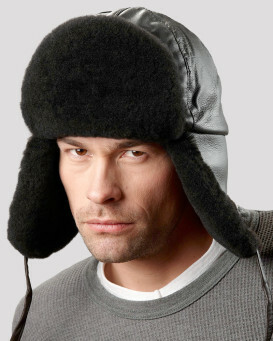 "Purchased this aviator hat to wear when I'm out on my trike during the winter months. Well made , warm and good looking. Delivery time was excellent and great web experience. Fully recommend this company!" "This was a Christmas gift for a friend. 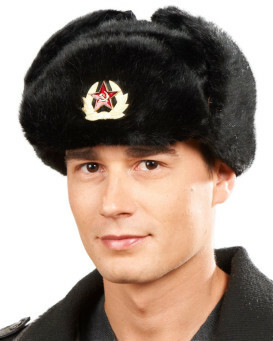 He has always admired my hat which I purchased from you a number of years ago. Needless to say he was thrilled with the hat. It has been an easy process all the way through and the delivery to the UK was quick and without problem"
"The hat is great, thanks winter for extending so this hat could be enjoyed. Warm, soft and stylish."